Free ICQ Messenger with video chat, voice calls, group chats, funny stickers and free messages. 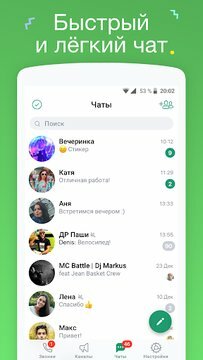 Mobile ICQ Messenger – new messaging app that lets you communicate with the whole world, with all features available for free. Chat and send free messages to your friends from your phone, it’s as simple as sending regular SMS. Install ICQ Messenger on your mobile to text your friends in a free chat or get them all together in a group chat. Send messages anytime you want, imagine that you’re sending free SMS or iMessage on iOS devices. Meet with your friends and family any time and any place you want, in online video chat. 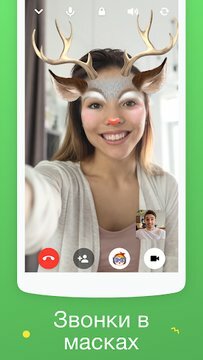 At the opposite parts of the town or in different cities – one video call in ICQ Messenger and you’re together again. 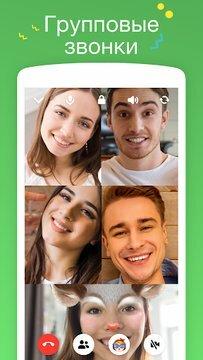 Cross any borders with free video calls in ICQ Messenger. Make a free call in mobile ICQ Messenger and talk as long as you want, without worrying about call duration and rates. Unlimited free calls to ICQ Messenger users around the world – that’s the real freedom to connect. Chatting altogether is more fun - create a group chat with your friends. Group chat in ICQ Messenger is with unlimited number of participants. That’s more than in such messaging apps as WhatsApp, Viber and others. When words are not enough, send funny stickers, smileys and emoji. Share your mood and emotions and cheer up your friends – stickers, smileys and emoji will lighten up any chat. Share your photos and videos with friends, send multimedia messages in ICQ Messenger. It’s much better than MMS – photo and video messages in ICQ Messenger are sent for free right in the chat window. New privacy settings will protect your ICQ from prying eyes. Now you can set a PIN that will be required to open the app and hide the name of the contact and the text in notifications. Incoming photos and videos can also be hidden from the device’s gallery. New mobile ICQ Messenger for Android and unlimited data plan is all you need to keep in touch with your friends! 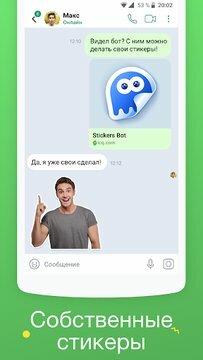 Get the new ICQ Messenger on your phone and invite your friends. Use free video chat and unlimited calls, text messages, stickers, smileys and emoji. ICQ Messenger users can connect for free, from any device and in any country. Free ICQ Messenger is available for all mobile platforms and desktop computers. Found an issue or have a question?